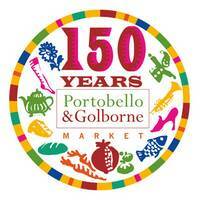 Radio Days goes Victorian at Portobello 150! 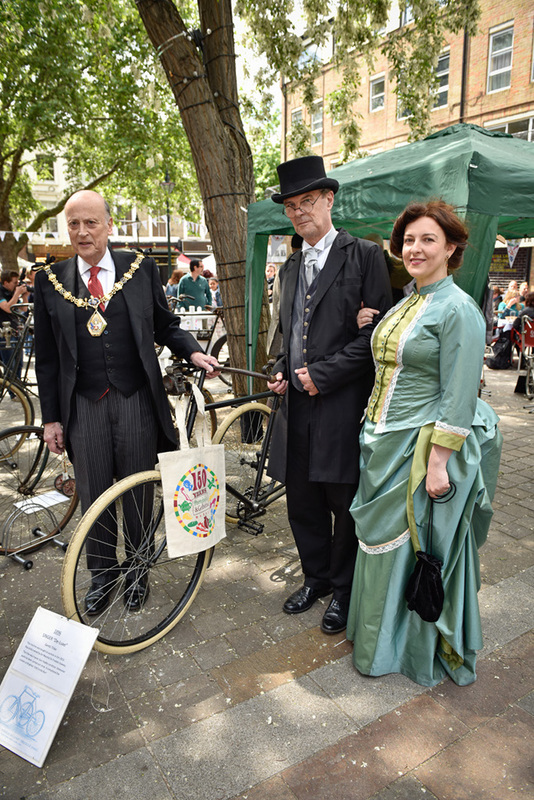 So here we are in Portobello Market, Saturday 30th May 2015, at the wonderful display in Tavistock Square of antique bicycles by the Veteran Cycle Club. Apposite, as María had delivered a brilliant performance of Daisy Bell just an hour earlier at Radio Days’ concert for the 150th anniversary celebrations of the Market. María has been adding some great Victorian music hall and parlour songs to her repertoire over recent months–including The Boy I Love Is Up in the Gallery, The Rose of Tralee, Lily Of Laguna, and Ask A P’liceman–while Chris has been burying his head in probably more books than are good for his sanity as he brushes up on his geeky passions ranging from jingoism and empire in the music hall and theatre from 1878 to 1918, through to sound and moving image technologies in the final decades of the 19th century. This was our first public performance of our Victorian material, and we thoroughly enjoyed every moment of it. Thankfully, so did our audience … with some few who knew the songs joining in. We found our pitch had serendipitously been located by the organisers at the antiques end of Portobello Road immediately opposite the Admiral Vernon Antiques Market, which of course gave Chris the excuse he needed to engage the audience with his tale of the 1739 Battle of Porto Bello on the coast of Panama during the War of Jenkins’ Ear, a name surreal enough to hold the attention of his listeners while María paused between songs. So, folks, come along to see us at one of our upcoming Victorian concerts! We think you’ll love it as much as we do!